With 80-degree days nearly year-round, Angelenos looking for the best things to outside can enjoy the great outdoors from January to December with L.A.’s best hikes (scenic views included) and even hikes with waterfalls to boot. But our perennial favorite is by far the beach. 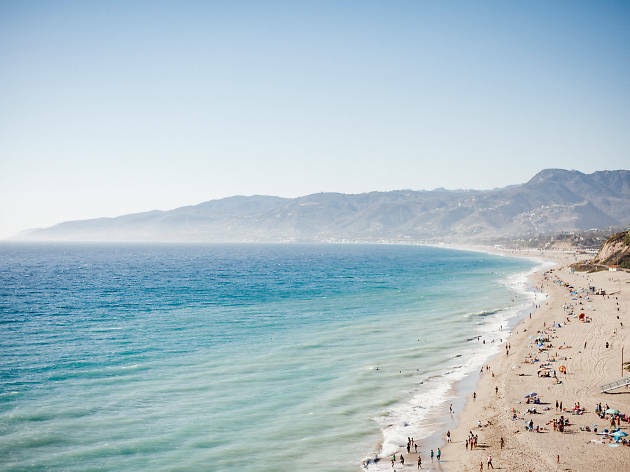 And with miles of pictureque coastline from Malibu to the South Bay, the best beaches in L.A. are aplenty for outdoor enthusiasts, surfers, families, sun worshippers and beach bunnies. 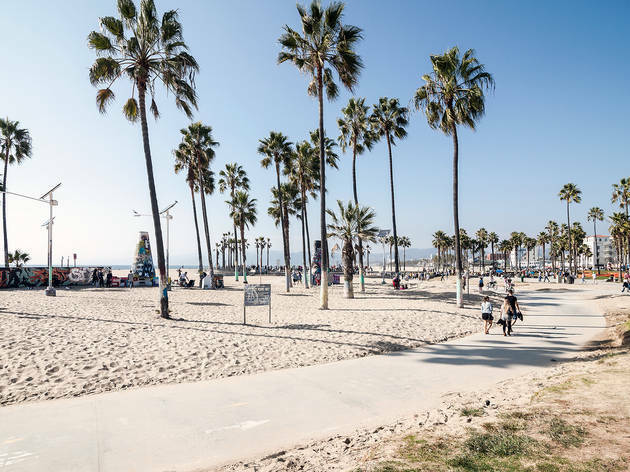 From Venice and Santa Monica to Manhattan Beach and Playa Vista, here are the best beaches in L.A. to sunbathe, surf and play. 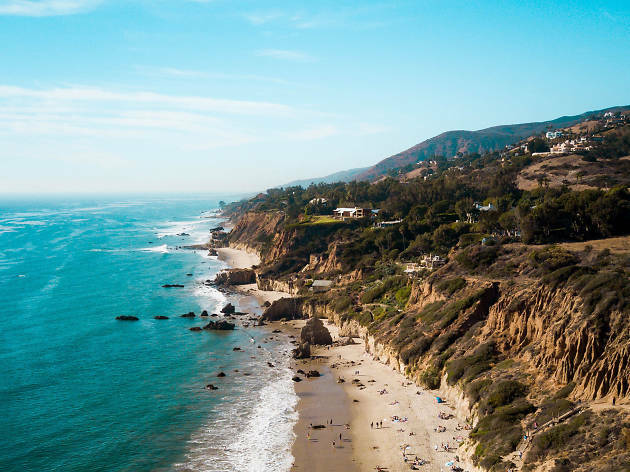 The 11 best beaches in L.A.
Small, beautiful and dominated by rocky outcrops, El Matador looks not unlike a European beach. 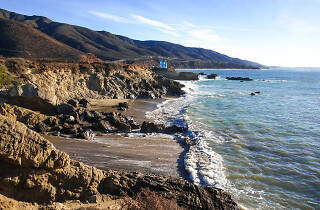 Wear shoes and don’t bring too much gear; the western Malibu beach is only accessible via a steep gravelly path. 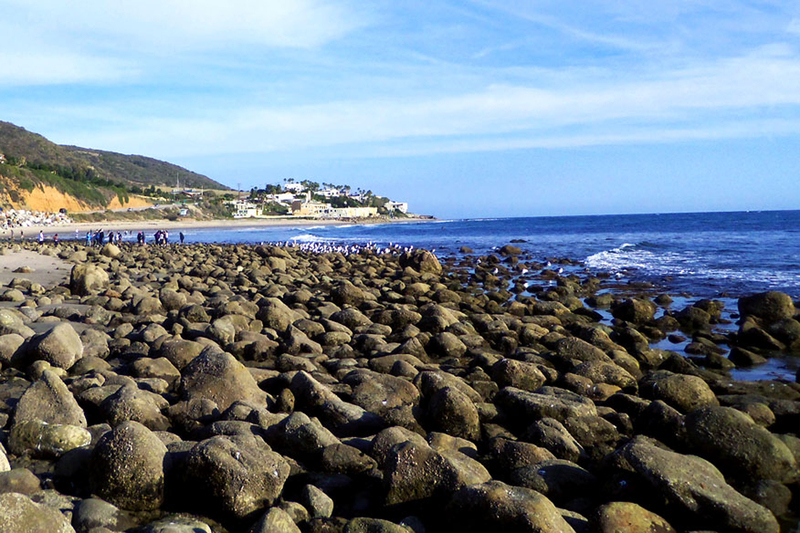 Spread your towel in the cupped hands of the rocks—just watch out for high tide. Arriving early or staying late should reward you with a memorable dawn or sunset. El Matador and nearby El Pescador and La Piedra beaches collectively form the Robert H. Meyer Memorial Beaches. 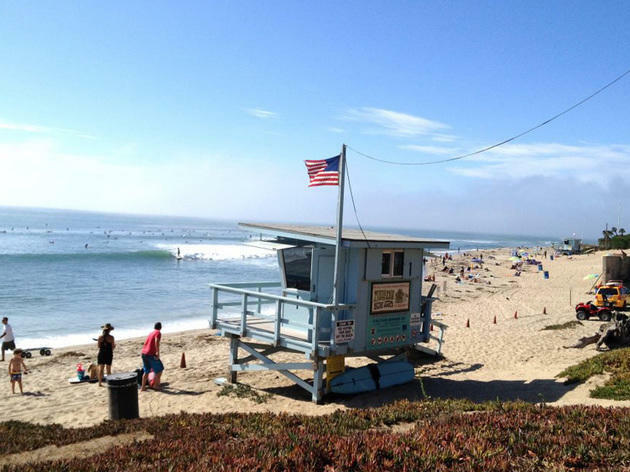 Make the drive past Will Rogers and Surfrider beaches and you’ll be rewarded with a clean, wide patch of sand and surf at Zuma. 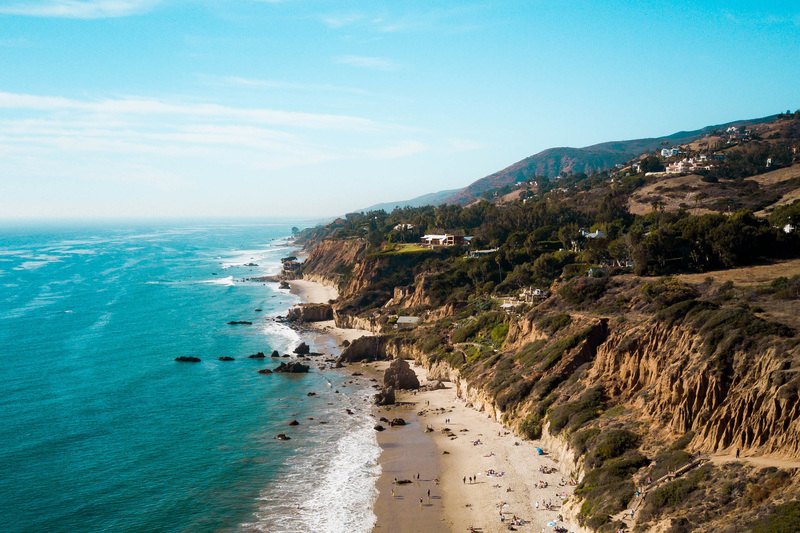 A popular spot on weekends and holidays for locals and destination beach-goers, this Malibu beach can hold crowds with plenty of onsite parking (pay at the lot or for free along PCH and Westward Beach Road) and lifeguards on duty. Surfers can catch some waves at this sandy beach break, but waves tend to close out, making this a perfect spot for boogie boarders and body surfers. 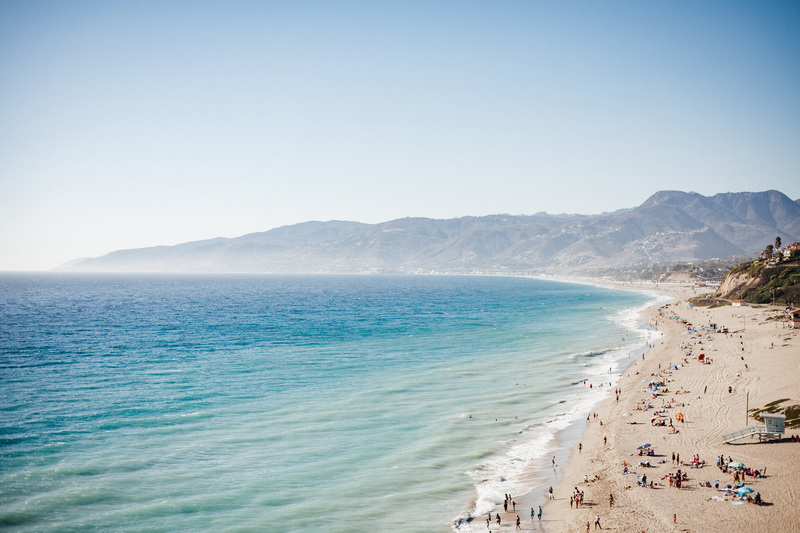 Venture to nearby Point Dume for idyllic hikes and repelling. 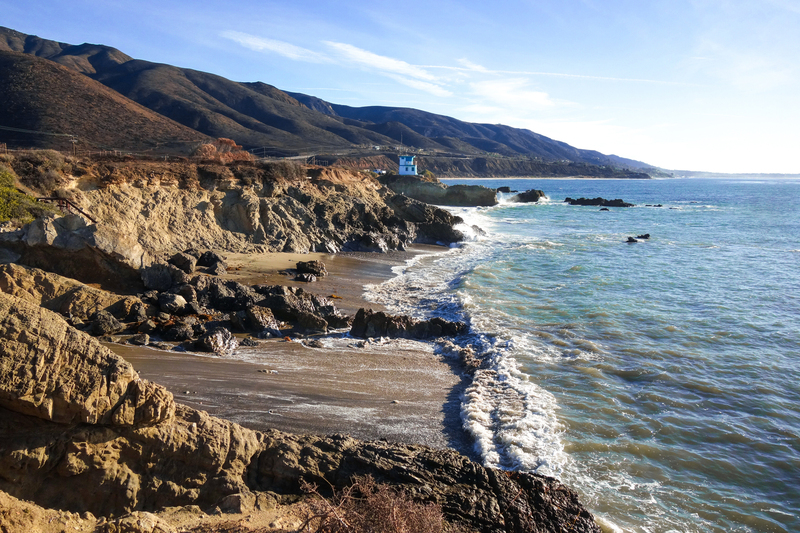 Leo Carrillo State Beach has the best of both worlds: a well-equipped stretch of sand plus seclusion and scenic beauty. 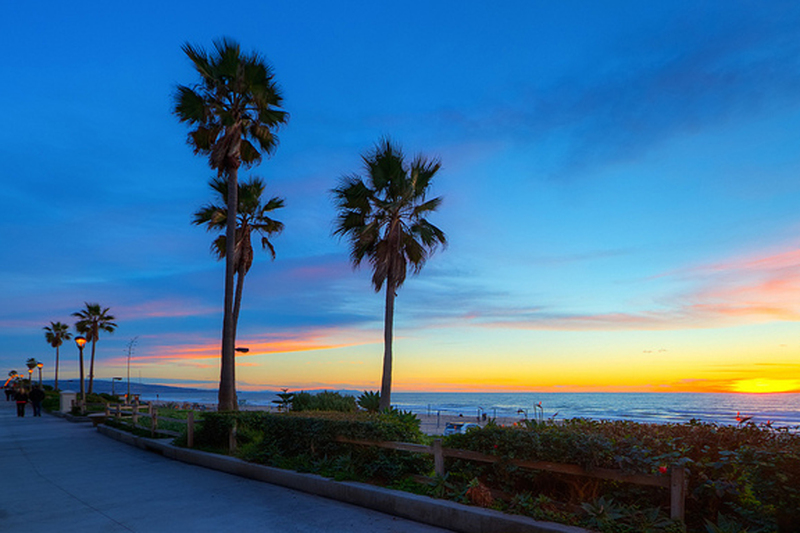 Longboarders can paddle out for mellow waves—it gets no more than chest-high at this point break—while nature lovers can explore tide pools on the rock-dotted coastline and a nearby trail. Groups can make use of the on-site camping grounds, picnic area, RV lot and token-operated showers. And don’t forget Fido: This is one of the rare beaches where dogs (leashed) are allowed to roam. Note: Some of the state park’s inland areas remain closed in the wake of the Woolsey Fire. Try to ignore the Chevron refinery and the occasional plane coming in and out of LAX and instead focus on the consistent waves that make this a favorite for surfers who make the trip from all parts of SoCal. Newbies love the sandy beach break (just watch out for the occasional flying board), while winter wave hunters can brave overhead waves. Enter the parking lot from 45th Street, and note the five-hour limit. Early birds get the worm (and less crowded waves) with free parking before 8am. Those that prefer to stay on land can make use of the bike path and volleyball courts. 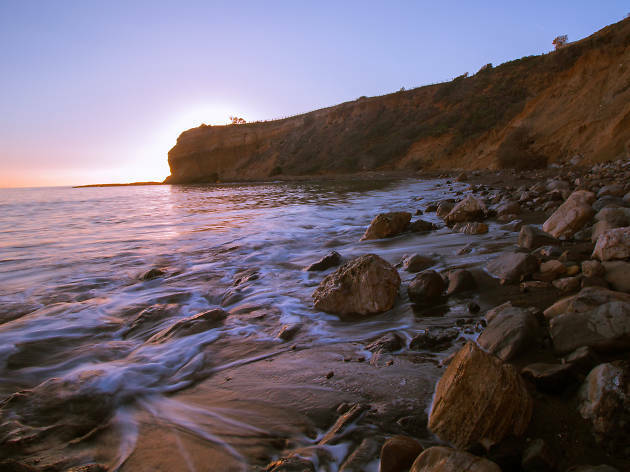 Abalone Cove isn’t exactly a beach chair and umbrella kind of destination—you’ll need to trek down a cliffside path from the parking lot and the beaches are often rocky. But if you’re willing to put in a little bit of work, you’ll encounter easily the most scenic spot in the South Bay, with hiking trails that cut through the bluffs, tide pools along the shore and caves carved into Portuguese Point. Sections of the rocky park have been known to close following destructive storms, so make sure to check the status online before hitting the beach. 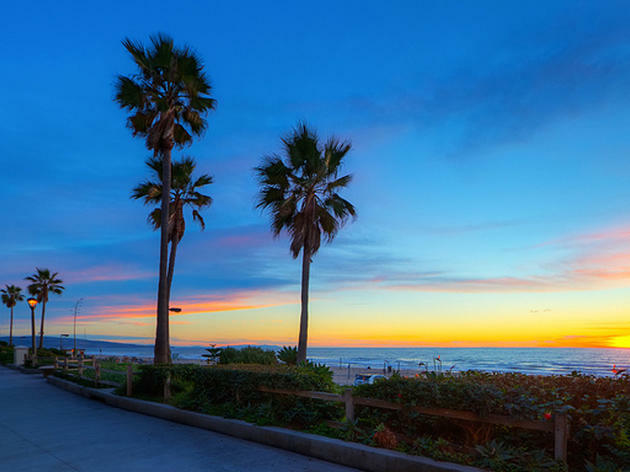 Those seeking escapism and romance may want to find another beach, but the payoff for fighting the crowds here is enjoying a stretch of sand deemed a World Surfing Reserve made famous by Gidget and other surf legends. 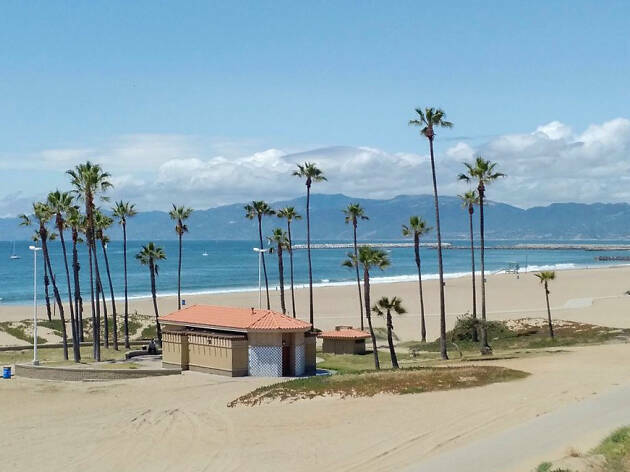 A quintessential Malibu beach, this prime location makes for great people watching and three point breaks make this a perennial hot spot for both longboarders and shortboarders. 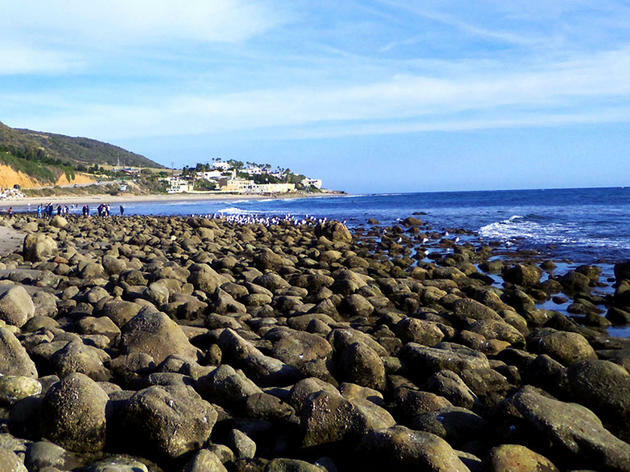 Park along PCH—near the Spanish-style Adamson House, Malibu Country Mart and Malibu Pier—and trek past the lagoon onto the vast stretch of beach. Great for families and road trippers, this South Bay beach is outfitted with everything you need for a day at the beach. The beach sits at the end of LAX’s runways, so overhead planes are both amusing and inescapable. 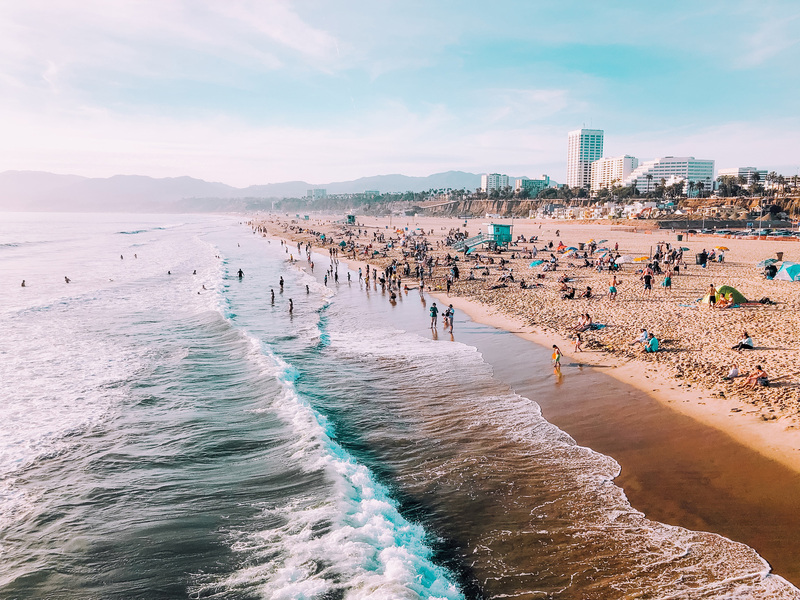 The wide, sandy beach is good for spreading out on beach towels and water sports, from swimming to surfing, while picnic areas and permitted bonfires (one of the few sites in L.A.) make for fun all-day outings at the beach. 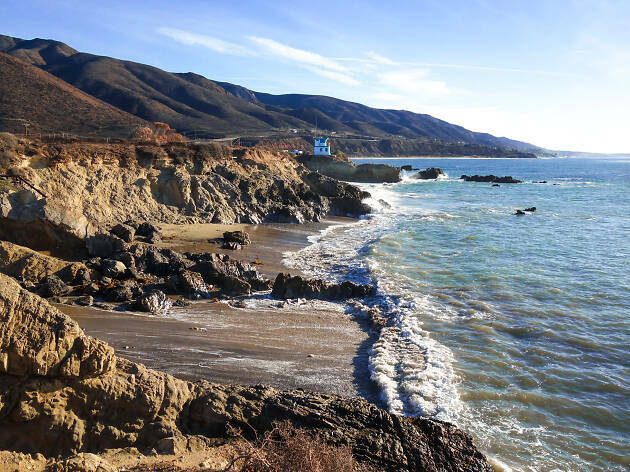 The northernmost beach bordering Ventura County, this stretch in Malibu offers easy parking along PCH, an escape from the crowds, crystal clear waters (don’t be surprised to be out in the water alongside dolphins and tiny reef sharks) and a playground for surfers and kite surfers. 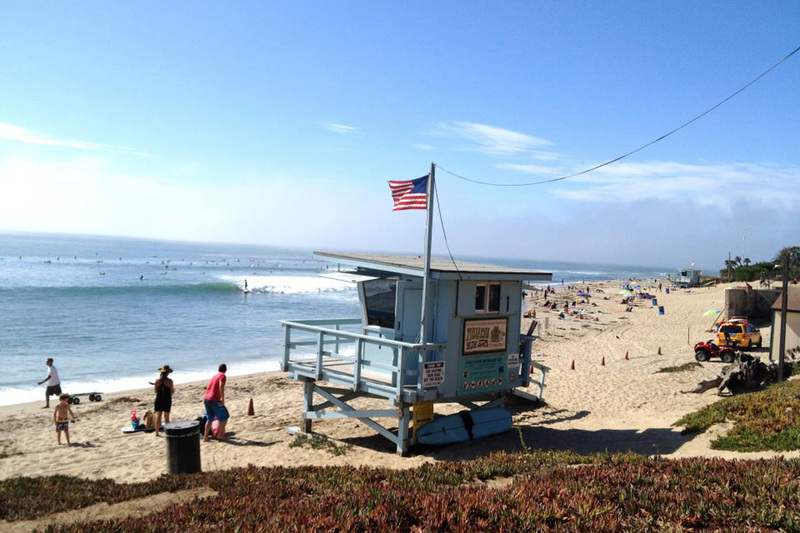 The wide beach break is perfect for surfers of all levels while afternoon winds are perfect for kite surfing. Seafood stand and motorcycle hangout Neptune’s Net is across the street for beachside grub. 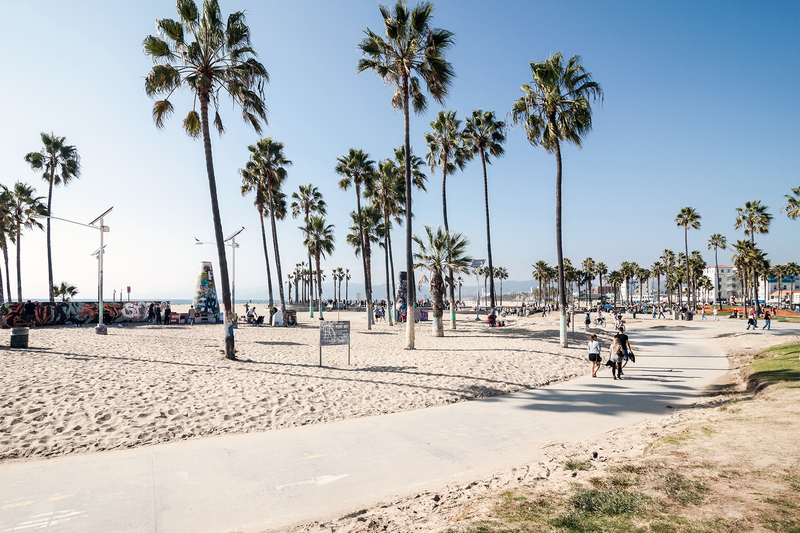 People-watching is the raison d'être at Venice Beach, which effectively continues from the southern end of Santa Monica Beach without a break. Jump into the flow of the winding (and utterfly disappointing) Venice Boardwalk, where you can skate or cycle, watch or play volleyball or basketball, and check out the pumped-up gym bunnies who work out at Muscle Beach. Surfers may want to opt out of less than pristine waters with inconsistent waves. Street parking is usually jammed, but there are several beachside lots. For a generally pooch-friendly paradise, Los Angeles is pretty lousy when it comes to dog beaches. In fact, this four-acre waterfront spot is the only legal off-leash dog beach in L.A. County. 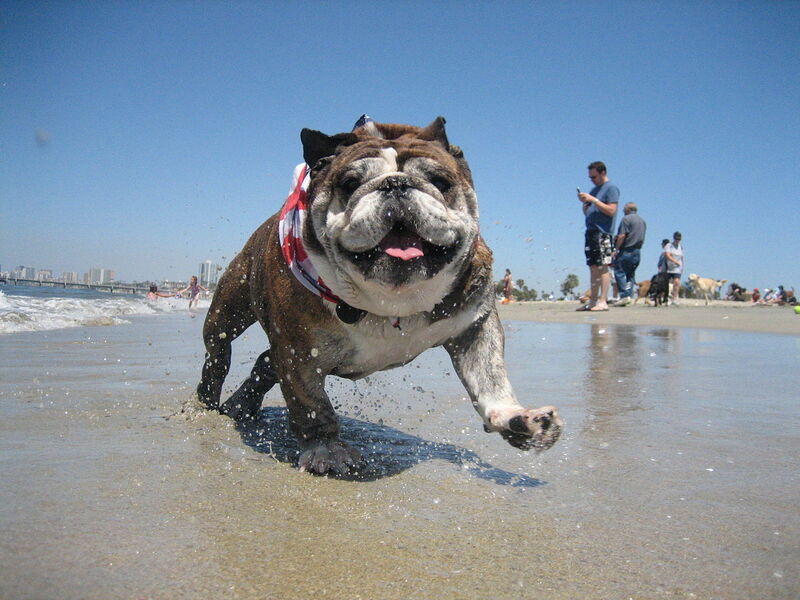 The park is named after the area’s late local canine celebrity, Rosie the English bulldog. You can easily spot the dog-friendly area by the colorful “Dogs at Play” silhouette. Looking to spend the night? 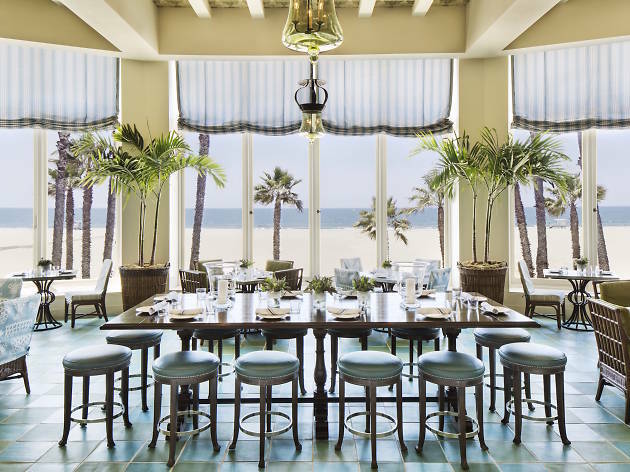 The best hotels on the beach in L.A. 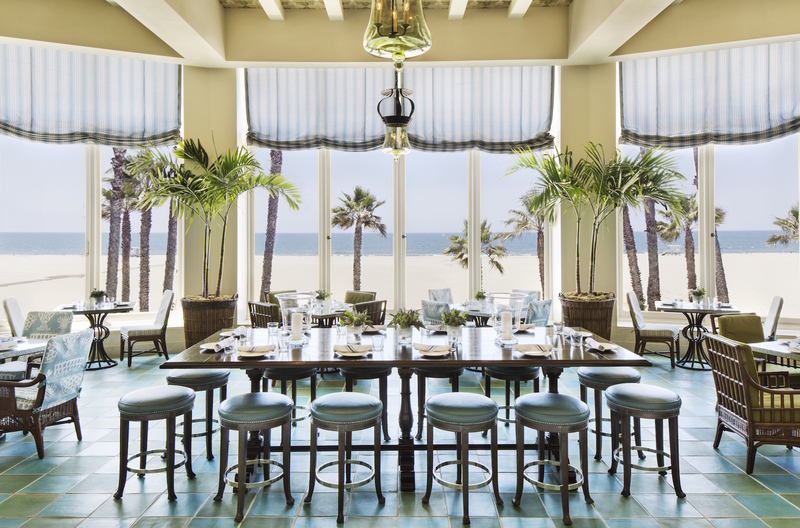 If you’re looking for one of the best hotels in Los Angeles, why not find one on the beach?